“Land of bananas” – A good or bad nickname? Vazhanad (which translates into “land of bananas”) is a nickname that some have bestowed upon a region of India called Wayanad, in Kerala. 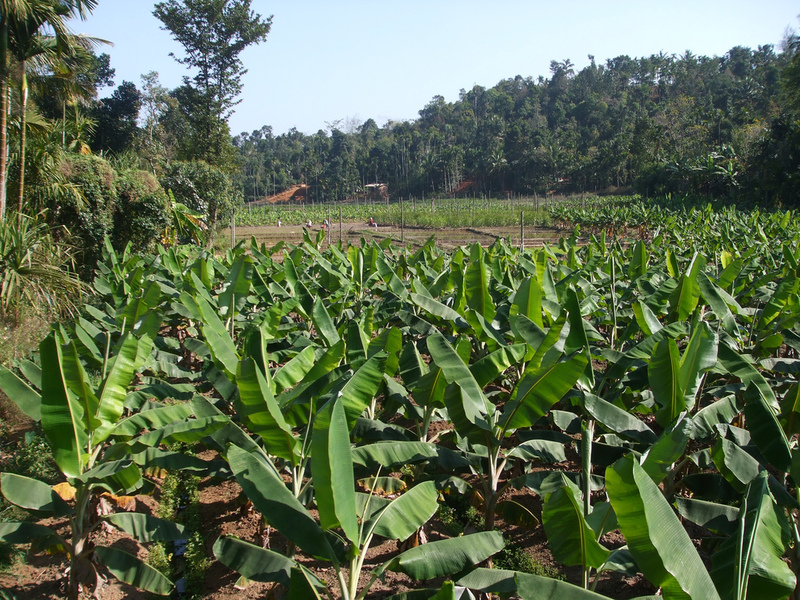 “Land of bananas” sounds Edenic, but many sustainable farmers and food advocates use this nickname to criticize the rise of cash crop agriculture that is pesticide-laden in former rice paddy fields in the region.